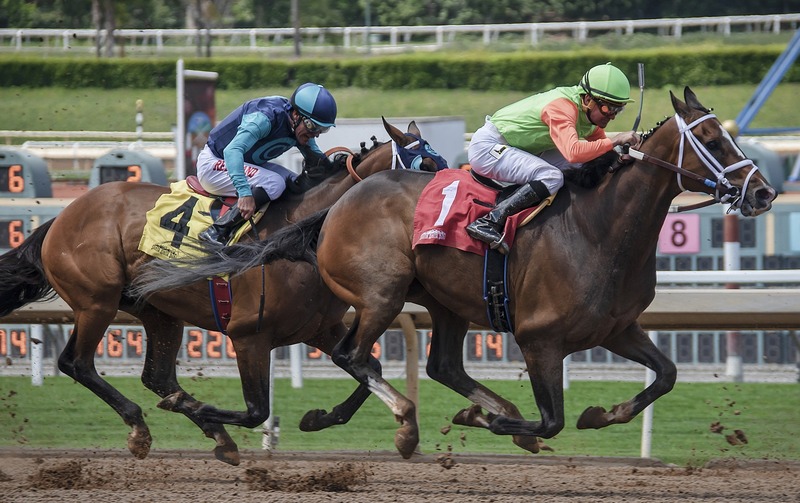 Many punters are aware of established online bookmakers such as William Hill, Ladbrokes, Coral and Betfair, but there’s a new wave of operators now joining the industry which are worthy of your attention. We’ve reviewed all these newcomers and handpicked a list of the best new betting sites for you to choose from. What are the best new betting sites in the UK? And a further couple of sites which we can also recommend. As we alluded to above, more and more new online bookmakers are joining the industry to provide an even greater amount of choice for UK punters. Yet, how do you know these new sites are any good? Of course, you could simply join and find out first hand, or you could read our comparison review which we’ve compiled using an experienced team of industry researchers to help highlight the strengths and weaknesses of these new players. Our team has assessed all the important components which are required to deliver a first-class sportsbook. We’ve looked at the welcome bonuses and promotions to check whether they are player-friendly. We’ve also examined the range of sports and markets, the banking options, payout speeds and customer service to ascertain which are the all-round best new betting sites in the UK. Furthermore, if you’re thinking of betting on the go, we’ve tried and tested the mobile apps and platforms to see how these perform. Put simply, we’ve gone through everything with a fine-tooth comb so we’re confident that we’ve selected only the best new betting sites for you. However, if you’d prefer to join a bookie not listed on here, that is your prerogative, although we advise thorough research by doing so. Each of the best new betting sites we’ve picked have an optional welcome bonus available for brand new players. After pouring over the small print of each offer, our team decided that the 50% up to £50 first deposit bonus offered at MansionBet is the best value deal available. However, it does come with a few conditions which mean you have to bet smart to profit from it. The basics of the offer are as follows: if you deposit £10 (the minimum amount), you get a £5 bonus – giving you a total of £15 to bet with, which must be wagered 6 times before the bonus money and any winnings made from it are classed as withdrawable cash. In order to clear the wagering, your bets must be at odds of 4/5 (1.80 in decimal) or greater. However, we noticed that multiple bets only need to be 1/5 (1.20 in decimal) per selection as long as the total odds are greater than 4/5. We think this is the savvy play here to try and profit from this offer. To find out more about this welcome bonus, visit our MansionBet bonus code page. Each of these best new betting sites put in a strong display with the range of different sports available for punters to bet on. Although MansionBet and EnergyBet stood out slightly more with both offering more than 35 sporting categories; inlcuding football, cricket, rugby, golf, MMA, basketball, futsal, volleyball and snooker. But, the best new betting sites can only have one winner in this section and we chose EnergyBet. What impressed us about EnergyBet was not only the variety of sports but the depth of its leading markets. For example Denmark Vs Peru in the FIFA World Cup has 492 betting opportunities available including markets for scores, totals, cards, handicaps, halves, players, fouls, corners and many more. It’s one of the most complete offerings of any bookmaker – new or old. EnergyBet also provides a good selection of in-play betting markets covering action from around the globe. Additionally, its odds are also very competitive, offering slightly better prices on several football win markets. Whilst the difference wasn’t huge, even the smallest of fractions add up to big numbers over the years. To know more about this app, visit our GentingBet mobile application page. Mansion are the clear favourites for the best new betting sites customer service award due to the brand’s experience within the online gambling sector. Although MansionBet is new, Mansion Poker and Mansion Casino have both been running for over a decade. Whether you use live chat, email or the freephone number (UK only), you know that you’ll be speaking to highly-trained, knowledgeable staff that are helpful and friendly. Best new betting sites in UK – F.A.Q. What do I need to register on a new betting site? We’ve got you covered here. Just follow the ‘sign up’ or ‘get bonus’ links provided on this page for the bookie you want to join. You’ll be directed to the bookmaker’s official registration page so you can join. Can I make easy deposits and withdrawals at the best new betting sites? Yes, very much so. All the best betting sites make this process quick, simple and hassle-free. Also, because the sites we have chosen are fully licenced, you can be assured that the strictest security protocols are in place to provide a 100% safe environment to do your banking. Yes. We noticed a few of the sites ask you to do this before making your first deposit and we fully recommend you do so. Remember, sports betting is a form of entertainment, so please don’t spend more than you can afford to lose. Certainly, as discussed above, each of the best new betting sites offers a great mobile betting experience either through a native app or a responsive, web-based platform. Best Online Bookmakers	BetVictor Review: Why is this brand worth your attention?